Manali is one of the beautiful hill station located in the lap of northern kullu valley, Himachal Pradesh. The town is located at the height of approx 6,398 ft with a distance of 250 km from Shimla, the capital of Himachal Pradesh. Manali is one of the popular hill station located in the northern part of India because of its beautiful snow clad mountains, forest, rivers, temples, clean weather and adorable scenery. Manali is a quiet popular place between honeymooners, especially solang valley of Manali hill station because of the beautiful sight of hills and mountains. According to the Hindu Mythology, Rishi Ved Vyas wrote the epic ‘ MAHABHARATA’ here with the help of lord Ganesha, at the river Beas. Manali is blessed with many mountains and rivers, especially with Beas. It seems like this place is blessed with beautiful sight and nature which attracts many people every year. By Air – The nearest Airport is at Bhuntar, located approx 50 km away from Manali. And after reaching Bhuntar you can take taxi for Manali. According to the weather condition flight is not the reliable option to go Manali. By Taxi – Travelling to Manali by taxi is extremely enjoyable because you can catch the glimpse of beautiful snowy mountains and valley on every turn of hilly roads. The roads are connected via Chandigarh, Shimla and Kalka that’s why lot of people prefers to go by road to see the scenic beauty of mountains. I would also advise you to hire a taxi to visit Manali and enjoy the adorable beauty of hilly region. Solang Valley: – It is known as the ‘snow point’ of Nainital because of the snow chapped mouthtain peaks and beautiful scenic view. It is one of the famous adventurous place know for the paragliding, Skiing, and a good picnic spot. Rohtang pass: – It the highest point on Manali-keylong road located at an altitude of approx 3,978 meter above sea level. You can catch the adorable scenic beauty of mountains and sun rising from clouds, which can be truly a breathtaking view for anyone. It is famous for its views of valleys, rivers, mountains and various waterfalls. Vashist hot water springs and temple: – The village is situated across the Beas river, at the distance od approx 4-5 kilometer from Manali. Vashisht is a small village famously known for its natural hot water sulphur springs and it is a popular attractive place for tourists. The springs can also be enjoyed in privacy at modern bath house, with Turkish styled showers which have hot water piped into them for the convenience of visitors. The village is famous among pilgrims for its stone temples dedicated to Vashist Muni and a temple of Lord Rama. Beas River: – The river is also known as the heart of kullu valley where people visit to camping and water sports. The river rises in Himalayas and flows for approx 470 Km to Satluj river, situated in Punjab. The river is so attractive that if anyone came here they catch the scenic beauty of river for whole life and remained to stay here. It forms the famous valley of Kullu and Kangra. It is a best place to relax during evenings and it is one of the famous picnic spots. Hidimba Temple: – The temple was built in 1553 which is surrounded by thick deodar forest called Dhungiri Van Vihar. The temple is dedicated to the wife of Pandava Bhima, Rakshasa Hidimba. The temple is built primarily of wood in a beautiful architectural style with crafted roofs. Nehru Kund : – Another beautiful destination is Nehru Kund, that is approx 5-6 kilometers away from Manali and located on the national highway to Leh. The natural beauty of place gives great relaxation to mind and body. The place is named after Pt. Jawaharlal Nehru, who always drank water from this spring whenever he visited Manali. Many famous spots like Manu temple, Vashist hot water spring and temple, Arjun Gufa is connected from the Kund. It is the best place to refresh your senses and scenic beauty of place will make your eyes feel relaxed. 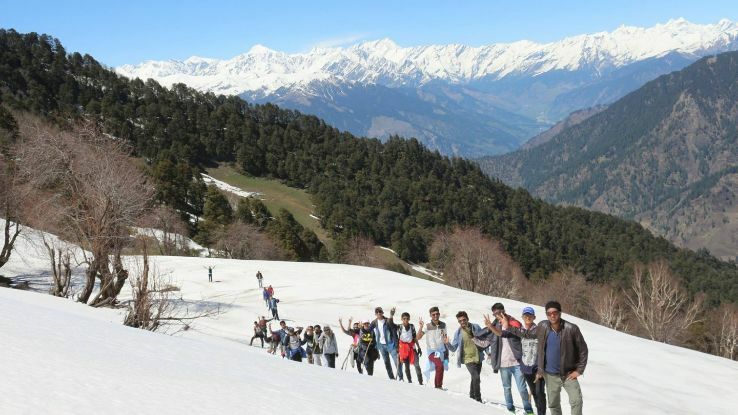 So, if you are planning your holidays this summer season and want a break from your hectic life then visiting Manali would be the best decision for you and your family. Manali is one of the top tourist destinations of Himachal, India. So, why wait plan a trip to Manali and enjoy the fresh air, natural beauty, pleasant environment and healthy climate. Your complete information about Manali trip by road very deeply & so knowledgeable.